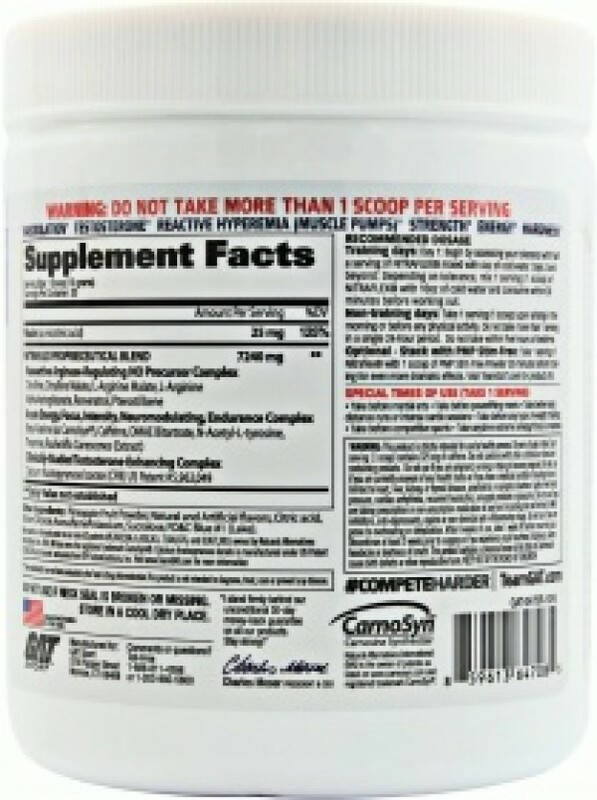 Hyperemia & Testosterone Enhancing Powder. If your workout performance seems a little bit sluggish and slow lately, that is probably a sign that your pre-workout supplement is not doing its job properly. 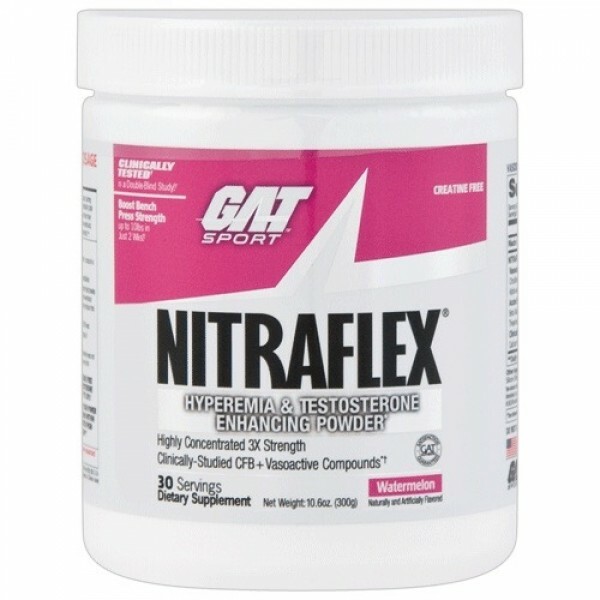 GAT brings out a pre-workout formula that brings out massive muscle pumps, maxes out muscle strength, and even boosts testosterone levels at the same time... push yourself to the limit by taking Nitraflex! Nitraflex is loaded with a highly concentrated blend of clinically studied compounds, which will boost energy levels, enhance physical strength, and induce vein-popping muscle pumps. This creatine-free Pre-Workout formula cranks up your workout intensity so that you can reach your physique-refining targets in the shortest possible time!